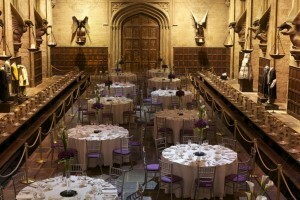 OK we’re loving this as an option for your themed Christmas party, although tickets are disappearing fast, but if you’ve ever wanted to party at Hogwarts and dine in the Great Hall, listen up. Warner Bros Studio Tour London – The Making of Harry Potter – is offering a special shared Christmas Party Night on 8th December. This is a totally exclusive night, with the doors being closed to the public throughout the day, and this is for one night only. 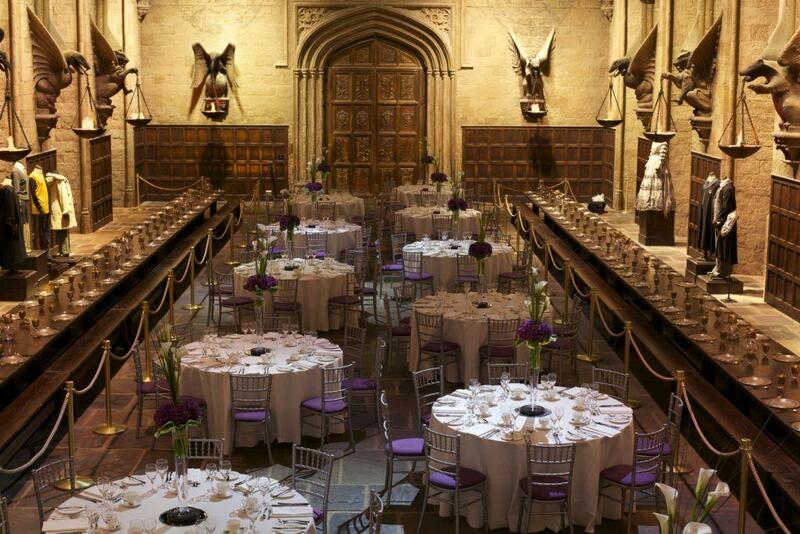 A reception with prosecco and canapes will kick things off in the Studio Tour Lobby, followed by a bit of a tour and then a red carpet experience into ACTUAL HOGWARTS Great Hall for dinner. Guests will then take the remainder of the tour marveling at the sets, props and costumes, whilst enjoying festive dessert bowl food and further drinks with the opportunity to ‘fly’ a broomstick, walk along Platform 9 ¾ where they will find the original Hogwarts Express train and enjoy a famous Butterbeer in the Backlot! Before finally ending up back in the Studio Tour Lobby for bewitching your fellow diners with your magical moves on the dance floor. We still have a few tables left and it’s first come, first served. If this wizarding winter wonderland sounds like your idea of heaven, you’d better drop us a line, quick. ← PAs and EAs – we salute you!